Rentals are a major part of weddings. While they aren’t the most glamorous piece of the puzzle, your wedding won’t be complete without event rentals. If you’re tying the knot at a private residence or in a venue that requires you to bring your own rentals, you’ll want to keep this list handy so you don’t forget any of the essentials! This may seem obvious, but you’ll want to make sure you get enough for everyone you invited to have a seat. Let the rental company know how many people were invited so they can bring the proper amount. You’ll also want to have extra tables for dessert, where the guest book sits, and any other decorations you may have planned. Chiavari chair rental is a huge addition to any formal wedding so if your budget will allow, this should be a must! Unless you’re going for an exposed wooden table look, you’re going to want to think about tablecloth rentals. 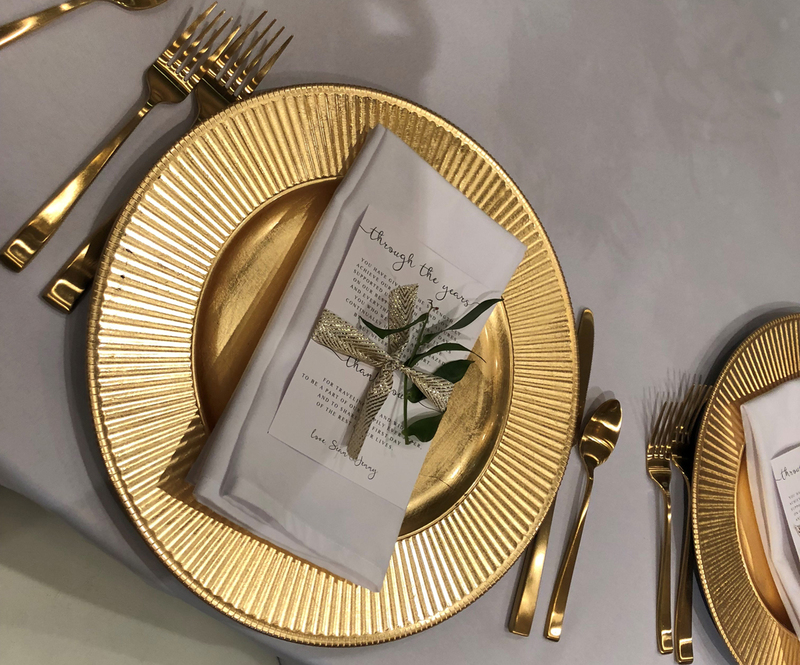 Think about what color table linens would go best with your wedding aesthetic and go from there. If you don’t want to cover the table entirely, consider table runner rentals. This will add a soft feel to your exposed table and accent the centerpieces while leaving the eating area free of linens. There is no right or wrong choice, it’s totally up to your preference. 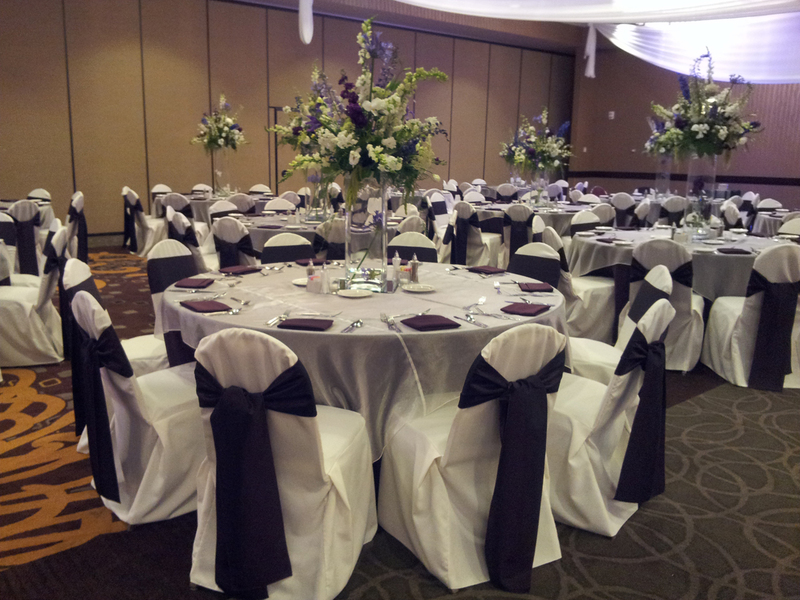 Depending on the style of your reception you may want to think about wedding chair cover rentals. This is another way to tie the color scheme together or add in a pop of color to your decor. 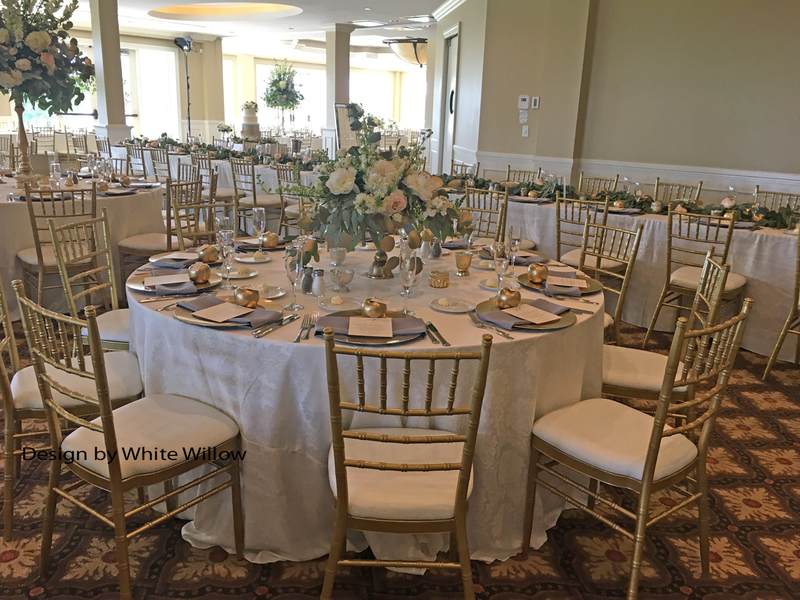 While these will add to your total rental cost, it is a nice way to tie everything together, so chair cover rentals are definitely something to think about. It’s possible your caterer might come prepared with these items but it’s still something you don’t want to forget. 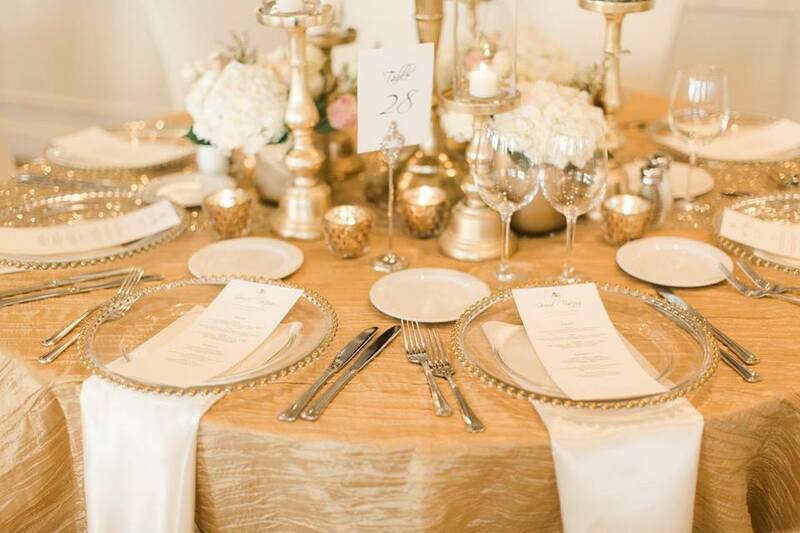 Everything from plates, silverware and napkin rentals are important to have. Coordinate with your caterer to find out what portion of these rentals they handle, and what you’ll need to get from a rental company. If there’s one thing you can’t control, it’s the weather. If you’re planning on getting married and dancing the night away outside, it’s crucial that you have a backup plan. It’s always a possibility that it will end up raining on your wedding day, and if so, you’ll be glad you have a tent. Aside from the rain, if you’re getting married with hot temperatures, guests will appreciate the shade provided by the tent. It’s always a good idea to rent one in case the elements get in the way. While this is by no means a necessity, renting a photo booth for your wedding is a fun and easy way to keep guests entertained! You can provide props and a book for your guests to glue their pictures in, in lieu of a traditional guest book. 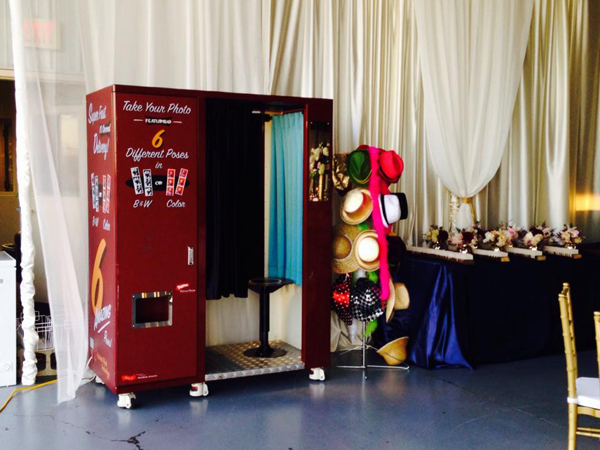 If you have space in your budget for a photo booth rental, it’s a really fun element for any wedding! If you’re tying the knot at a private residence or outdoor venue without bathrooms, you’ll need to rent a mobile bathroom. Mobile bathroom options vary depending on your guest count. Some have multiple bathrooms within a trailer, which is good if you have a bigger guest list. Again, it’s not a very glamorous thing to think about, but it’s something essential you need for the big day.